If you are an IT manager looking to boost your career consider adding project management skills. A lot of what IT does is project oriented. Having the knowledge and the skills to manage a small project or at least be knowledgeable of project management are very beneficial to an IT manager. Most project managers are about the business side of the project. The resources, time, money and scope of the project. They do not need a deep technical knowledge to do their job. This is usually not a hindrance since any good project manager is going to surround themselves with a technically knowledgeable team. As a manager skilled in a particular area of IT you have the technical expertise that a lot of project managers do not have. Since you are already a manager you have many of the business and soft skills a project manager uses. Adding project management skills will make you more well-rounded and could lead to more opportunities. The goal is not to become a project manager, unless that is a path you want to take. The goal is to learn more about project management and the skills used to manage projects. There are many benefits for an IT manager to learn project management skills. By adding project management skills you will be able to do your own job better. Look at some of the tasks you do now. Hardware and infrastructure upgrades, deployments, enhancing services, and much more. These may not be fully blown projects, but you can manage them that way. Project management skills will allow you to better plan, initiate, manage the budget, manage resources and deliver the product. IT is full of projects large and small. Not every project needs a dedicated project manager. 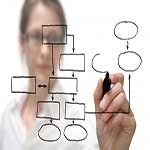 With project management skills you will be able to manage small projects. Experience is the best teacher so by showing you can manage a small project, you may get tapped for something larger. This will enhance your reputation and your value to the company. With knowledge of project management you will be able to better contribute to projects you are involved in. Not only will you be lending your technical expertise, you will be able to be a more active participant in the project. This benefits the project, the company and yourself. Learn Project Management Jargon – For some project management has a language of its own. If you are not a trained project manager and attend project meetings you are likely to hear terms and phrases that are Greek to you. Learning the language can be very beneficial by giving you a better understanding of the projects you are involved in. Who knows you may like project management so much you will want to make a career move and commit yourself to becoming a project manager. Project managers are in high demand in IT and other departments. It will take a real commitment and a lot of time, but the payoff may be well worth it. Over time as you prove your capabilities you may be called on for special projects. Ones that require both technical expertise and project management skills. Any new skill, technical or otherwise can open up new opportunities for you. Project management skills are highly valued and sought after. The CompTIA Project+ certification covers the entire project life cycle from initiation and planning through execution, acceptance, support and closure. Unlike some project management certifications, CompTIA Project+ can be earned quickly and cost-effectively. There are no prerequisites, and candidates are not required to submit an application or complete additional hours of continuing education. The CompTIA Project+ exam consist of 80 questions and requires a passing score of 499 on a scale of 100-900. You can self-study with books, take a class or learn through online resources. For more information visit the CompTIA Project+ web site. The Certified Associate in Project Management (CAPM) is given by the Project Management Institute. It is intended for those who contribute to projects. It requires a high school diploma or equivalent, and 1500 hours experience or 23 hours of project management education. There is an application process and a multiple-choice 150 question exam. For more information visit the Project Management Institute web site. If you do not have the time or money to pursue a certification you still have options to learn project management skills. The goal is to learn project management skills, not to become a project manager, though it could lead to that on some scale. For starters there is a wealth of information on the Internet. Just head to your favorite search site and type in Project Management Skills. If you are an avid book reader like me head to Amazon, your local public library or local college or university library. There are many resources out there that will make you more knowledgeable about project management. If there is a Project Management Office (PMO) where you work take some time and talk with them. Explain that you want to increase your knowledge and skills about project management and ask them for suggestions. Some companies know the value of project management skills and offer in-house project management basics training. As an IT manager adding to your skill sets makes you a more valuable asset to the company. Much of what IT does is project oriented so knowing the language and how projects work is important. As a manager you already have some of the business and soft skills needed in project management. To move up the company ladder, increase your reputation and your salary you need to continuously improve your skills. Adding project management skills will put a very useful tool in your managers toolbox. Great post. I just took a 2-day class on PM from http://cll.emory.edu and I’m sure others can find similar courses from continuing education schools such as this. It really does help round out skills for managers and non-managers involved in projects of all sizes. Disclaimer: I work for the (degree granting) university side of Emory.